Here is a little something something for all of our loyal and loving clients. Hope you enjoy the DIY post, as seen on The Pretty Blog in 2016. Thank you Chantall Marshall for this fun project and the beautiful images. 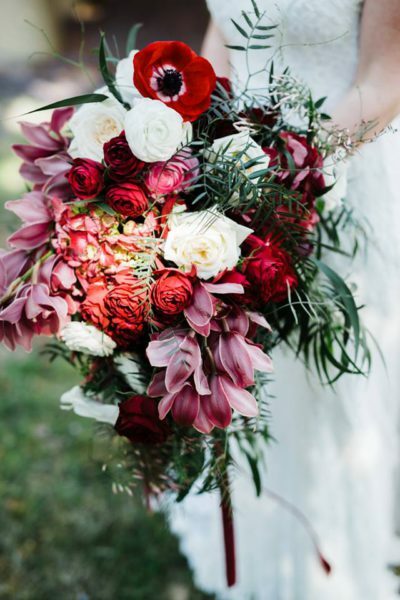 Do not make your bouquet too tight – in other words, don’t try to fit all the flowers you could find in your bouquet. To achieve the same loose bouquet as above, make sure your flowers have space to move. Use pops of colour for added texture and uniqueness. Don’t overthink it, have fun with your flowers! 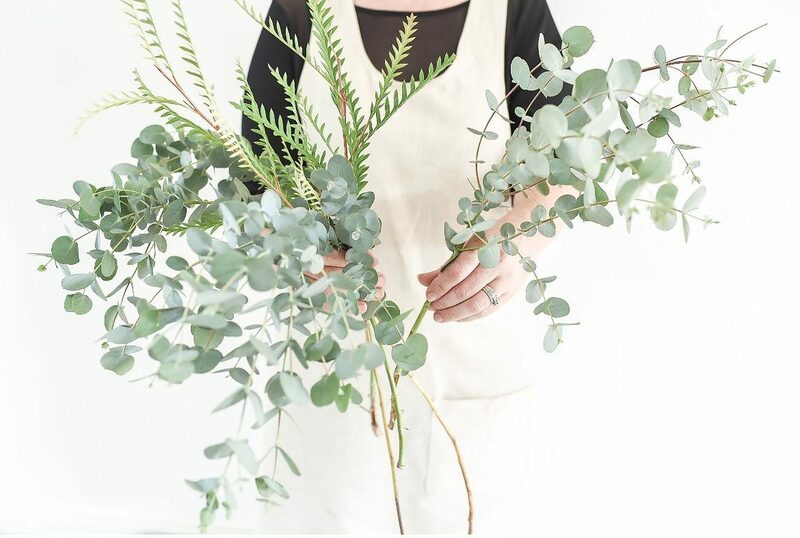 Use foliage to establish your bouquet’s shape. Start by placing the foliage in a triangle shape as a base. Layer the different types of foliage until satisfied with the shape and size. Start adding the florals: start with the “filler” flowers and work up to the bigger blooms. Try to add them in a clockwise motion. Continue until you are satisfied with the fullness of the bouquet. Tie the bouquet up with florist tape or, if you find it difficult to control a bigger bouquet, use a cable tie and cover it with florist tape. Just be careful when working with flowers like tulips or hyacinths, their stems are delicate and will snap when using cable ties. Cover the florist tape with ribbon or strips of material, depending on the look you want to achieve.